The Wine Tasting Network offers two entry-level wine clubs, this is the one that's delivered quarterly. For better-quality wines from a wine club which rewards you with better savings the more you spend, this is a great wine club to join. We love when wine clubs really reward their members with additional value, and this club is chock full of it. In particular, they have excellent "buy more save more" pricing, and free shipping on all club shipments. Greater transparency around how the wines are sourced would be helpful. We'd also like to see a history of past shipments online. We can't find a link to Discovery Wine Club. Please have a look around our site to see if you can find something else you'd like. There are a lot of “value” wine clubs out there which you’ve probably heard of and maybe even tried already. This is a different sort of value wine club—it offers real value on better-quality wine! The case version of this club (12 bottles per quarter) is comparable in price (when you factor in free shipping) to the big famous wine clubs, but the wine you get here is of a higher quality—it’s not top tier wine, but for daily drinkers, we think you get the most bang for your buck with the WineTasting.com Discovery Club. One thing to keep in mind, this is a quarterly wine club, and your first shipment is not timed to your subscription date. All shipments go out for delivery in: February, May, September, and November. Free gift in your first wine club shipment—all of their clubs come with a chrome bottle stopper, foil cutter, and a WineTasting.com corkscrew in a bamboo box. At WineClubReviews.net we take an objective approach to our star ratings system. Our written reviews are very much subjective, based on our 5+ years of wine club review experience and our own ideas about what good wine and good value mean. The star ratings are based on 11 attributes that we feel define what a wine club should be. Here is how Discovery Wine Club stacks up on these traits. Note: This rating is our objective analysis of WineTasting.com's satisfaction guarantee—not our assessment of whether or not you’re guaranteed to be satisfied with their wines. The Discovery Club is a value-driven club offering wines from around the world. Some of their wines can be purchased elsewhere (implying there is a fairly large production), but they all come from genuine producers (as opposed to bulk wine being re-bottled for private labels)—sometimes there’s even an exclusive wine created just for the Wine Tasting Network. Wines typically retail from $12 to $30, and they tend to be of excellent quality for their given price tier. We feel the prices for the Discovery Club are pretty good. It’s hard to say with certainty if the the retail price was correct to begin with (this is determined by the winery), but WineTasting.com discounts all of their wines for club members. A blend of wines goes into each order and if you add up the posted retail value, you’ll find you got a deal. The only trouble is, some of the wines are exclusive or can’t be found anywhere else to verify the retail price, so you have to take their word for it. One of the expectations we have of wine of the month clubs is that they are rewarding your loyalty to their service with exceptional pricing. In the case of WineTasting.com, they meet that expectation on all three levels: They have an introductory offer which includes bonus gifts, they offer discounts on reorders for members, and they send out special discount offers only to members. We are unaware of any significant complaints about the customer service at Wine Tasting Network (the parent company of WineTasting.com). We did find a couple of folks who didn’t know the difference between WineTasting.com and TastingRoom.com (where they’d actually ordered from) and a couple of errant customer service problems that are pretty normal from a couple of years ago. We haven’t received any complaints at WineClubReviews.net. We really enjoyed the educational materials that were sent out with our shipment. The Napa Valley booklet focusing on Harvest 2015 was entertaining and beautifully produced compared to materials we’ve received from other wine clubs. The tasting notes for the Discovery Club are sufficient for pairing your food with your wine, but not much else. This is a little bit of a black box. They don’t talk about how their wines are selected, but since WineTasting.com is part of the larger Wine Tasting Network, which includes a gift catalog (Ambrosia) and a deals site (Napa Wine Connection), we’re assuming their focus is on finding good quality wines at great prices and passing that value along to the consumer. There also seems to be a heavy focus on Napa wines, so their relationships probably play a big role in their selection process—this can be both good and bad for the consumer, depending on the company. Right now, we think you benefit from this method of selection, we’ll update this if that changes. WineTasting.com offers a high level of delivery convenience for their customers—a must in the digital era. They use UPS MyChoice which means you’ll get timely shipping notifications and the ability to modify your delivery date free of charge. Other aspects of online account control are limited and you’ll need to call for changes. 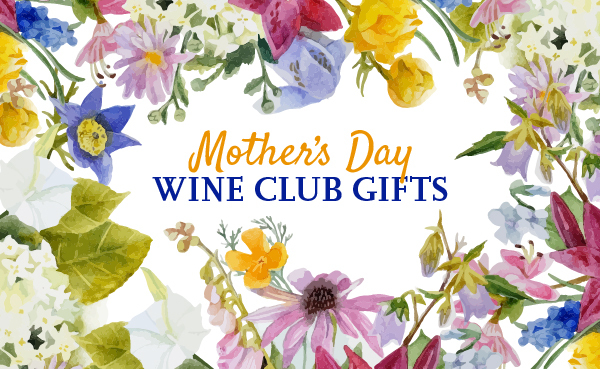 The Discovery Club offers some basic personalization—you can choose 3, 6, or 12 bottles per shipment and red wine only or a red and white wine mix. It’s worth noting that you can’t opt for monthly or bi-monthly delivery or choose only white wine. The Discovery Club is not especially unique in terms of the way the club is structured, but it is unusual to find a wine club in this price range delivering great value and a 100% satisfaction guarantee. Nearly everyone who likes wine likes free wine, so most wine clubs make a good gift. We don’t feel WineTasting.com is doing anything to make this gift extra special, but your gift recipient is eligible for all of the benefits of membership we’ve discussed above, and will get a customized greeting card in their first shipment, along with the bonus gifts!